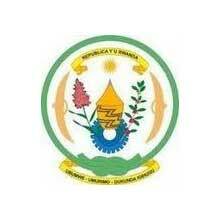 The Ministry of Agriculture & Animal Resources is a government agency within Rwanda, constantly working to provide better livelihoods to the Rwandan people, and developing public policy that will beneficially impact the social, economic, and political environment within the agriculture sector. To initiate, develop, and manage suitable programs of transformation and modernization of agriculture and livestock to ensure food security and to contribute to the national economy. To modernize agriculture and livestock to achieve food security. One of the key pillars of this vision is the transformation of Agriculture from a subsistence-based sector to a productive, high-value, market-oriented, and knowledge-based farming that is environmentally friendly, and produces significant impacts on other sectors of the economy. The policy of the Ministry of Agriculture and Animal Resources is to increase animal production, modernize farming, reduce poverty, ensure food security, and maintain surplus for the market. This will ultimately result in the increase of living standards of the Rwandan people.